We are a leading Wholesaler of wall panels from Bengaluru, India. Owing to the vast industrial experience and expertise in this domain, we are providing Wall Panels. These panels offered by us are manufactured in accordance with the industry set norms and are known for their lightweight, accurate dimension, and durability. 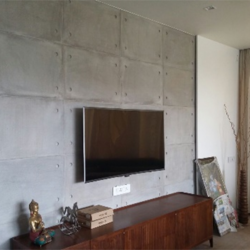 By means of tilt-up construction, we manufacture single-skin lightweight concrete wall-panels.